Sprayberry and Associates Land Surveying Company has been proudly serving Auburn and Opelika, Alabama as well as the surrounding areas since 1984. Our professional and knowledgeable staff is dedicated to providing accurate and complete surveys. We specialize in mortgage surveys, boundary surveys, lot surveys, and subdivisions. GPS surveying can be provided. 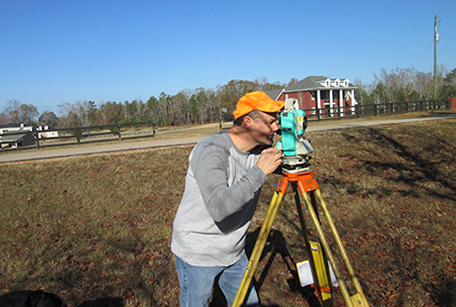 Zack Sprayberry is a member of the Alabama Society of Professional Land Surveyors. Contact us today to set up your survey! A mortgage survey is a necessary part of the mortgage and property purchasing process. It protects the buyer, the seller, and the lender and gives everyone a clear indication of the property corners, property lines, and possible encroachments, such as fences, drives, easements, or storage buildings on the property. A mortgage survey shows the distance from the house to the property lines and all the improvements such as storage buildings, walks, and drives. Building lines, if present, will also be shown on the survey plat. Some lenders may require a foundation survey as soon as the foundation is completed as part of their loan process. The buyers need to know exactly where the property corners and property lines are located on the property they are purchasing. Buyers sometimes wish to construct new fences or other improvements on their property or plant trees, shrubs, and lawns. Landscaping work may be planned that will need to be kept within the property boundaries. Generally boundary surveys are requested on tracts of land where the boundaries may be unclear or unknown or when legal issues arise between two adjacent property owners. 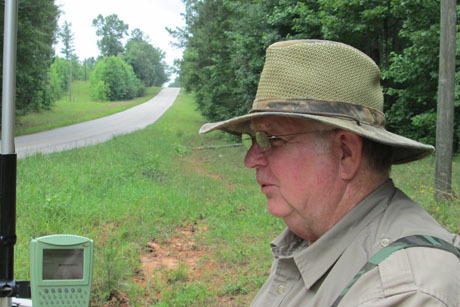 A boundary survey may be for a lot in a subdivision or it may be a large parcel of property out in the county. Sprayberry and Associates will carefully retrace the boundaries of a property, mark them, draw an accurate plat and evaluate our findings for our clients. Any corner that is not found will be reset. Over time property corners are often moved, covered by dirt, or obliterated by utility work, grading, or landscaping. Sometimes tracts of land may have crooked fences or poorly marked property lines and the landowner may want to cut timber, put up fences, or just be sure where his property corners or property lines are located. We will do the necessary research at the courthouse for deeds and other records and then we make a thorough search for the old property corners. All fences, roads, and any other important evidence is located and shown on the plat providing a record for the landowner. If a parcel of property has not been surveyed in many years then it may need a new survey. Corners may be gone, road rights-of-way may change, and lots of other changes happen over time. A good boundary survey is money well spent and should last for years. Lot surveys are often needed to determine the position of property corners or property lines of lots that have been lost over time. 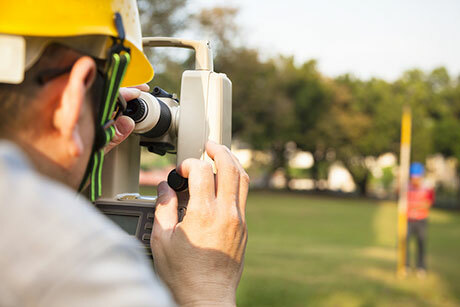 If a property owner plans to build a new fence, driveway, or building near a property line then a lot survey should be done prior to the expense of making the improvements. Many lot owners know their approximate property lines but few can show you exactly where the corners and lines are. A lot survey will make the lot lines visible again for everyone and may keep you from moving an expensive new fence. Sometimes two adjoining property owners want to move the property line between their properties. A property owner may want to divide his property into two or more pieces. A property owner may want to combine 2 lots into 1 lot for some reason. All of these examples are subdivisions. The City of Auburn has subdivision regulations and so does the City of Opelika. Lee County also has their subdivision regulations that apply to all of Lee County. The planning jurisdiction of the City of Auburn extends five miles beyond the city limits. All of the regulations are different and the city regulations are different depending on whether the property is within the city limits or within their area of jurisdiction outside the city limits. 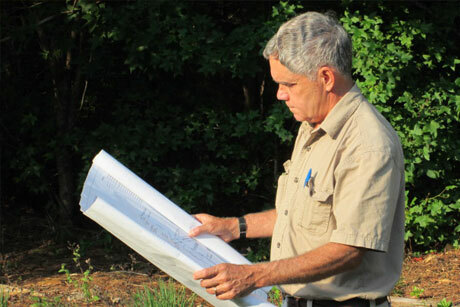 It is best to discuss any plans for a subdivision with the local authorities who have jurisdiction over that property. Sprayberry and Associates has surveyed subdivisions in Auburn, Opelika, and Lee County for many years and will be glad to to help you subdivide your property. We also survey in all adjoining counties.